Before you take on external investment, and before you even enter into any dialogue with potential investors, you need to make sure you’re ready to do so. One of the first key stages once an investment process begins is due diligence: allowing your potential investors to thoroughly examine your business and prospects in order for them to ascertain whether they are willing to invest in your business. When you buy something tangible, like a car for example, you’re usually offered the opportunity to take it for a test drive. When an investor is contemplating whether or not to invest in your business, there’s nothing tangible for them to get their hands on. Instead, they usually ask you to complete a questionnaire which asks about all aspects of your business. This is often time-consuming and may temporarily distract you from focusing on your business; however, help is at hand to help you become investment ready. If you’ve got your ducks in a row before the investment process starts, you’re giving potential investors confidence in you and your business and it can help to start the relationship off on the right foot. You may only get one chance to impress a potential investor so it’s important to be in as strong a position as possible to ensure a successful outcome. Whilst it may feel like a potential investor wants to uncover every last detail, try and use the due diligence process as an opportunity to demonstrate the strengths of your business. A clear corporate structure: Be clear on who currently runs your company on a day-to-day basis / who makes up the board and who owns your company. Simple shares: Companies are often formed with one class of share; ordinary. Is this appropriate when an investor joins? What share class are you going to offer an investor? Corporate governance: Do your current articles of association match how your business operates and makes decisions? Statutory books: Are these maintained and kept up to date? domain so it is easy for potential investors to access this. If what you’re telling a potential investor about your structure doesn’t add up with the information available at Companies House, this is likely to start ringing alarms bells with investors. Shareholders’ agreement: If there’s more than one shareholder in your business, have you got a shareholders’ agreement in place and does this cover eventualities such as, what if one of you wants to leave, how do you transfer your shares? Contracts: Do you have written contracts in place with your key suppliers / customers? Intellectual property: Is your IP, and any of your licences, properly protected, registered and accounted for? Can you demonstrate a strategy for protecting future developments? Employment contracts: Do all your employees have written contracts of employment? Is your company protected if any of your key people decide to leave? Data protection policy and procedures: Are you GDPR compliant? Insurance: Does your business have appropriate insurance coverage? What type of funding are you seeking? Are you clear on the level of funding required? Do you have accounting records to demonstrate your business so far? If you’re not currently trading, do you have realistic forecasts and predictions available? Are you clear on what you want from an investor? Are you ready to accept equity? Are you ready to work with new people? Have you practised and perfected your pitches / presentations to potential investors? Are you ready to undergo the due diligence process? Whilst this list is not exhaustive, it should give you some food for thought for getting your business investment ready. 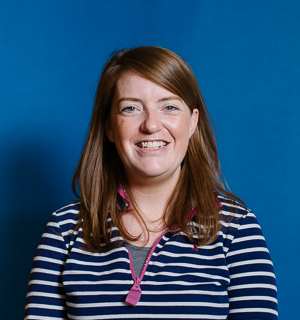 If you’re a start-up or early stage business thinking about taking on external investment for the first time and need help, please give Kirsty Simmonds a call.